The Fourth Annual Building Resilience Workshop was held in New Orleans and was well attended. BISCO staffer Patty Whitney was a panelist and a panel moderator. 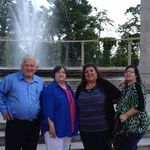 Other BISCO friends also served on panels during the day, including Chief Albert Naquin of the Isle de Jean Charles Band of Biloxi-Chitimacha-Choctaw in Terrebonne Parish, and Rebecca Templeton of Bayou Grace Community Services. The EPA held an Environmental Justice Conference in Biloxi, MS in 2013. 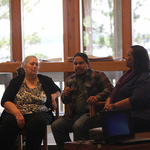 Patty Whitney gave a presentation entitled "Environmental Justice from a Historical Point of View." BISCO, in conjunction with Tulane University, hosted several "Green Cleaning" parties in Terrebonne and Lafourche Parishes. 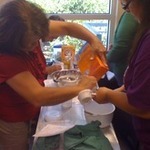 Participants learned great eco-friendly ways to make their own non-toxic and economical cleaning supplies. 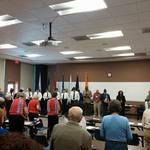 BISCO hosts an annual Veteran's Day Program to honor the men and women who have served our country. In November 2011 the program was held at Peltier Park Recreation Center in Thibodaux, Louisiana. It was a wonderful program and was very touching, ending with personal stories from several veterans from many different branches of the U.S. Armed Services.